Description: If you are interested in how a software company develops a new software, this Gantt chart can definitely satisfy your curiosity. Free download the develop new software Gantt chart and customize it to meet your company demand. Share, discover and update gantt chart templates on professional content sharing community. 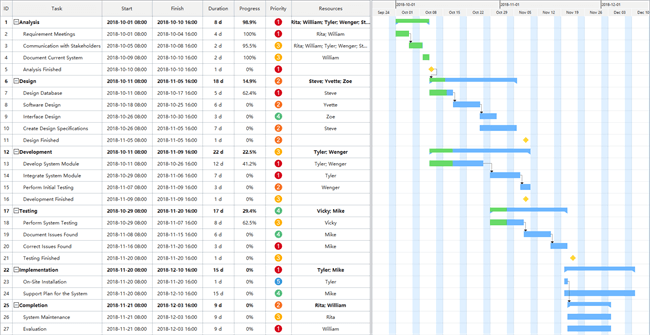 All shared gantt chart templates are in vector format, available to edit and customize. Explore whatever fits you best and save for your own use.